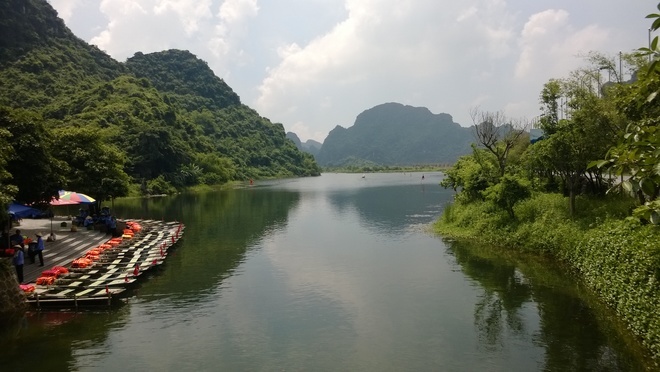 On January 23rd 2015,NinhBinhwill hold the ceremony to celebrate TrangAn Scenic Landscape Complex recognized as the UNESCO World’s Heritage Site. Let’s take a trip to visit this masterpiece of nature. 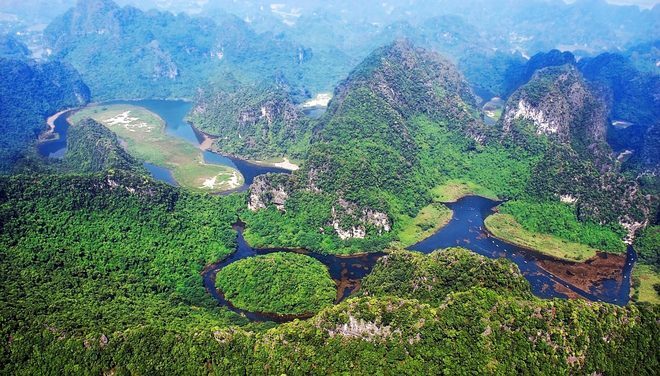 TrangAn Scenic Landscape Complex is located in NinhBinh Province, just about 100km from Hanoi. 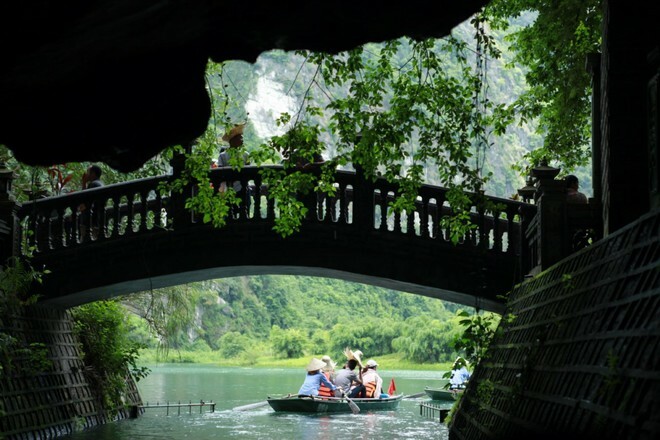 It is featured by poetic and imposing beauty of mountains, limestone, river as well as diverse fauna and flora system. 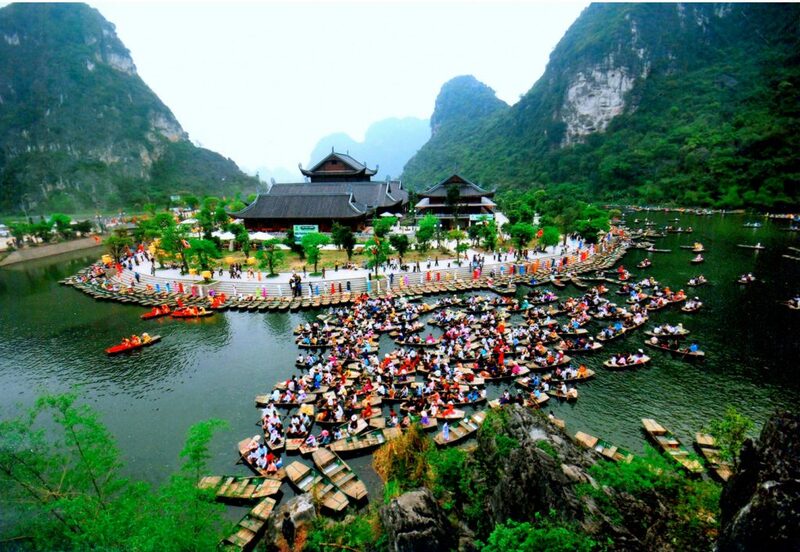 The TrangAn Warf is located just 3 km from Hoa Lu ancient capital and 7 km from NinhBinh City. It has been a favorite destination for local and international tourists for a long time. 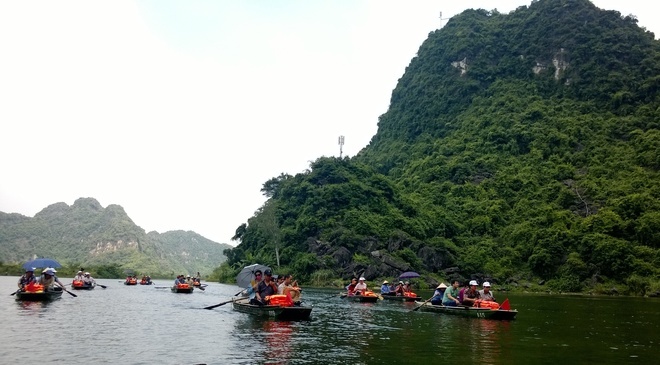 Tourists want to discover TrangAn has to take a boat tour ridden by local ladies. A tour takes about three to four hours. 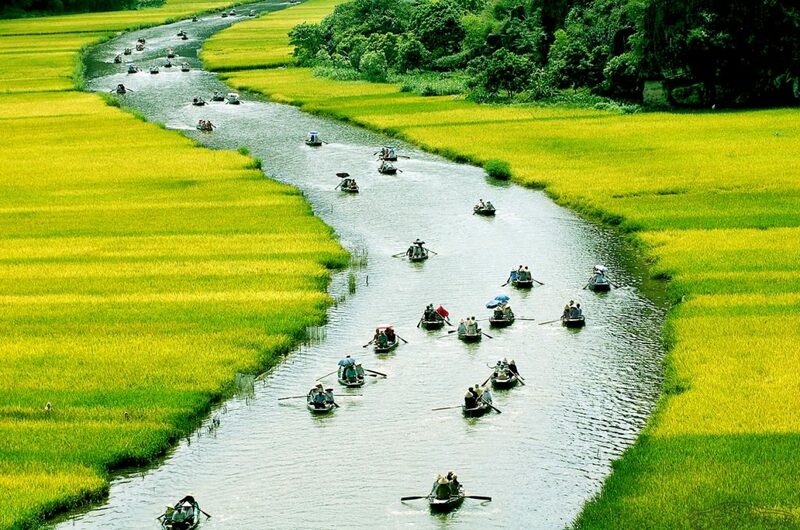 Sitting on the boat going along the river to see attractive natural surroundings is a very amazing experience. The boat price is 150,000 VND/person. A boat contains 4-5 people. Children less than 1 meter high are free ticket. 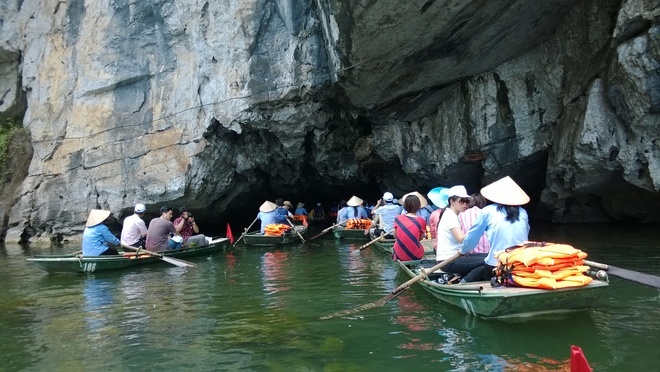 Your tour to visit Trang An will go through 12 caves and 3 temples, including Trinh Temple, DiaLinh Cave, Den Tran Cave, Tran Temple, Si Cave, Sinh Cave, Tinh Cave, Ba Giot Cave, NauRuou Cave, KhongTemple, PhuKhong Cave, Tran Cave, QuyHau Cave. The caves complex in TrangAn is like a matrix map. They connect together along the rivers and lakes. DiaLinh Cave, Ba Giot Cave and NauRuou Cave are the ones sticking with legendary stories from the past. 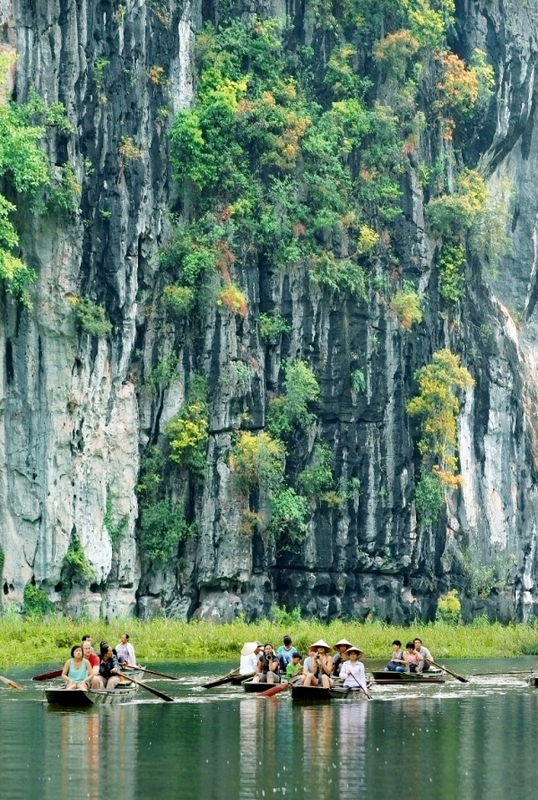 You will be told these stories by your tour guide when visiting these caves. This is NauRuou Cave (Wine-Making Cave). 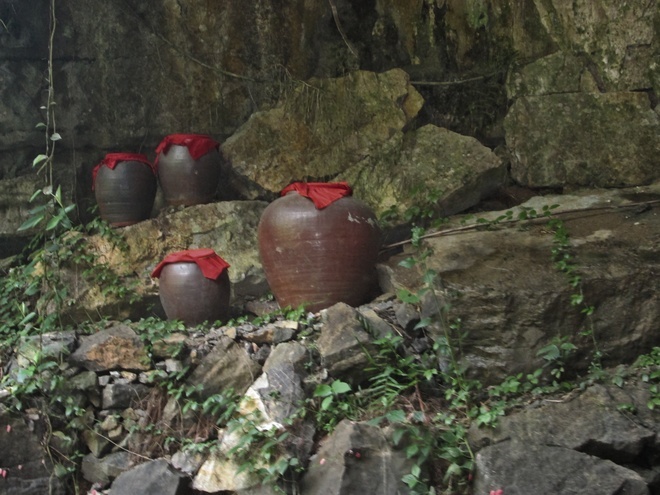 It is said that local people had used water to make wine for the King thousand years ago. 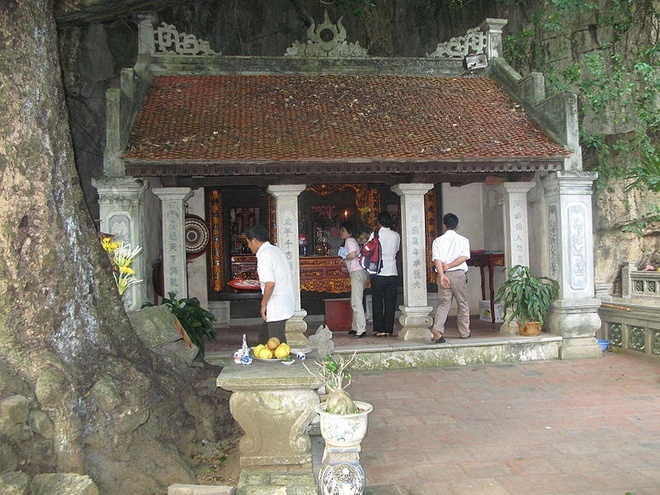 Khong Temple is an outstanding spiritual site on the tour because it is where to honor 7 loyal officials in Tran Dynasty. The beauty of TrangAn is no word to describe. It is recognized by prestige global organization and travelers worldwide.